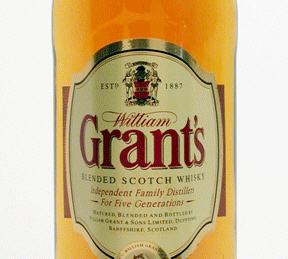 Wm Grant’s & Sons are the largest of the independent whisky distillers, still remaining in the family ownership and are the third largest producers of Scotch Whisky. Their Blended Scotch Whisky still remains one of the worldwide best sellers. A blend of only the finest malt and grain whiskies matured in oak casks for a minimum of 12 years.